Nigel Pearson is set to anger his current bosses at Hull City - by ignoring their rebuttals to Leicester City and going to speak with the Foxes' Thai owners. The Tigers rejected an approach from Leicester for former manager Pearson over the weekend but the now-Hull manager wants to speak to Vichai and Aiyawatt Raksriaksorn to seal a shock move back to the East Midlands. 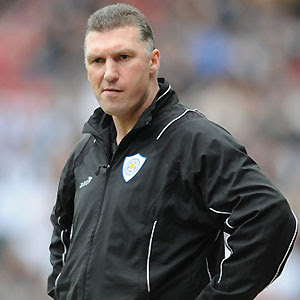 Pearson would certainly fit the bill at the King Power Stadium, with the Raksriaksorns seeking a man with Championship experience and a positive track record at this level. The likes of Dave Jones, Billy Davies and Roy Keane have all been overlooked as the Thai owners chased first Martin O'Neill - who is seeking a Premier League position - and now Pearson as the man to succeed Sven Goran Eriksson. Hull defender Liam Rosenior has pleaded with his manager to remain on Humberside. Speaking to the Hull Daily Mail, he said that he would be "disappointed" in Pearson if he were to leave now. "I am not surprised the manager is getting linked with the job at another club. But is it flattering? No, because Leicester are in the same league as us. Yes, they have got money but they are below us in the table so it is not flattering at all." 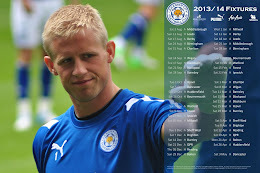 The Foxes indeed lie 12th after an inconsistent run of form, despite their big spending over the summer. Nonetheless the Tigers are only two points ahead of Leicester and Pearson - revered at the King Power Stadium after seeing Leicester promoted back to the Championship at the first attempt - has failed to quash rumours of a return to his former club. "If it is a top Premier League club it might be different," added Rosenior, "I'd be very disappointed if the boss decided to go to Leicester because I think we have got better players here. We would all be devastated if he went. Hopefully, he will stay."